Zine El Abidine Ben Ali (Arabic: زين العابدين بن علي‎‎, Zayn al-‘Ābidīn bin ‘Alī; born 3 September 1936) was the second President of Tunisia from 1987 to 2011, being in the position for 23 years. Ben Ali was appointed Prime Minister in October 1987, and he assumed the Presidency on 7 November 1987 in a bloodless coup d'état that ousted President Habib Bourguiba, who was declared incompetent. Ben Ali was subsequently reelected with enormous majorities, each time exceeding 90% of the vote; the final re-election was on 25 October 2009. On 14 January 2011, following a month of protests against his rule, he was forced to flee to Saudi Arabia along with his wife Leïla Ben Ali and their three children. The interim Tunisian government asked for Interpol to issue an international arrest warrant, charging him for money laundering and drugs trafficking. A Tunisian court sentenced Ben Ali and his wife in absentia to 35 years in prison on 20 June 2011 on charges of theft and unlawful possession of cash and jewellery. In June 2012, a Tunisian court sentenced him in absentia to life imprisonment for inciting violence and murder and another life sentence by a military court on April 2013 for violent repression of protests in Sfax. In November 2016, Ben Ali made a new statement via the office of his lawyer, Mounir Ben Salha, acknowledging his regime made "errors, abuses and violations” during his rule. His statement comes as a reaction to the public hearing sessions made by the Truth and Dignitiy Commission in Tunisia. Ben Ali never completed secondary school, but was nevertheless awarded training in France at Special Inter-service School in Coëtquidan and the Artillery School in Châlons-sur-Marne, and also in the USA at the Senior Intelligence School in Maryland and the School for Anti-Aircraft Field Artillery in Texas. His professional military career began in 1964 as a Tunisian staff officer. During his time in military service, he established the Military Security Department and directed its operations for 10 years. He briefly served as military attaché to Morocco and Spain before being appointed General Director of National Security in 1977. In 1980 Ben Ali was appointed Ambassador to Poland, and served there for four years. After the Tunisian bread riots in January 1984 he was reappointed director-general of national security. Ben Ali subsequently served as Minister of State in charge of the interior before being appointed Interior Minister on 28 April 1986 then Prime Minister by President Habib Bourguiba in October 1987. On 7 November 1987, doctors attending to Bourguiba filed an official medical report declaring him medically incapacitated and unable to fulfill the duties of the presidency. Ben Ali, as the next in line to the presidency, removed Bourguiba from office and assumed the presidency himself. The day of his accession to power was celebrated annually in Tunisia as New Era Day. Two of the names given to Ben Ali's rise to the presidency include "the medical coup d'état" and the "Tunisian revolution". Ben Ali favoured the latter. In conformity with Article 57 of the Tunisian Constitution, the peaceful transition occurred. The country had faced 10% inflation, external debt accounting for 46% of GDP and a debt service ratio of 21% of GDP. In 1999 Fulvio Martini, former head of Italian military secret service SISMI, declared to a parliamentary committee that "In 1985–1987 we organized a kind of golpe in Tunisia, putting president Ben Ali as head of state, replacing Burghiba (the Italian spelling of the name) who wanted to flee". Bourguiba, although a symbol of anti-colonial resistance, was considered incapable of leading his country any longer, and his reaction to the rising Islamic integrism was deemed "a bit too energetic" by Martini; Bourguiba's threat to execute the suspects might have generated strong negative responses in neighbouring countries. Acting under directives from Bettino Craxi, Italian Prime Minister, and foreign minister Giulio Andreotti, Martini claims to have brokered the accord that led to the peaceful transition of powers. Bettino Craxi had visited Algiers in November 1984, being warned by the president Chadli Benjedid that Algeria was ready to invade that region of Tunisia that was crossed by the pipeline towards Italy, if Bourguiba was not able to guarantee the stability of his own country. Algeria was trying to diversify its foreign policy, feeling isolated by Spain and French President François Mitterrand's accord with Morocco and Libya over Chad. For two years, according to Martini, Italian and Algerian secret services worked together in order, on one hand, to avoid the growing destabilisation of Tunisia spilling over into Algeria, and on the other hand to control pro-Palestinian activities in Italy. Finally, Ben Ali was singled out as possible replacement for Bourguiba: as chief of the Tunisian secret services and as Minister of the Interior, he had opposed plans to execute Islamic fundamentalists. SISMI's action did not have the consent of René Imbot, head of the French secret service, and the USA allegedly was not informed. According to Martini, the SISMI did not have an operational role in Ben Ali's rise to power, but organised a political move to support politically and economically his new government, preventing Tunisia from falling into an open confrontation with fundamentalists, as happened in Algeria in the following years. Large photographs of Ben Ali were widespread in Tunisia. This example was at the Office of Merchant Navy and Ports building. Ben Ali initially promised a more democratic way of ruling the country than had prevailed under Bourguiba. One of his first acts upon taking office was to loosen restrictions on the press; for the first time state-controlled newspapers published statements from the opposition. In 1988, he changed the name of the ruling Destourian Socialist Party to the Democratic Constitutional Rally, and pushed through constitutional amendments that limited the president to three five-year terms, with no more than two in a row. However, the conduct of the 1989 elections was little different from past elections. The RCD swept every seat in the legislature, and Ben Ali appeared alone on the ballot in Tunisia's first presidential election since 1974. Although opposition parties had been legal since 1981, presidential candidates were required to get endorsements from 30 political figures. Given the RCD's near-absolute dominance of the political scene, prospective opposition candidates discovered they couldn't get their nomination papers signed. The subsequent years saw the return of several Bourguiba-era restrictions. For many years, the press had been expected to practice self-censorship, but this increasingly gave way to official censorship. Amendments to the press code allowed the Interior Ministry to review all newspaper and magazine articles before publication. In 1992 the president's older brother Habib Ben Ali was tried in absentia in France for laundering the proceeds of drug trafficking, in a case known as the "couscous connection". French television news was blocked in Tunisia during the trial. At the 1994 elections, opposition parties polled 2.25% and gained 19 of 163 seats in Parliament—the first time opposition parties had actually managed to get into the chamber. Ben Ali was unopposed for a second full term, again after being the only candidate to get enough endorsements to qualify. Turnout was officially reported at 95%. 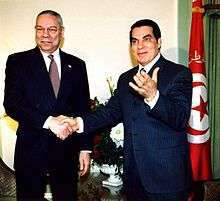 In 1999, Ben Ali became the first Tunisian president to actually face an opponent after the 30-signature requirement was lifted a few months earlier. However, he won a third full term with an implausible 99.4 percent of the vote. A constitutional referendum in 2002—the first ever held in Tunisia—established a two-chambered parliament, creating the Chamber of Advisers. It also allowed the president to run for an unlimited number of five-year terms and amended the upper age limit for a presidential candidate to 75 years old (previously 70). The latter measures were clearly aimed at keeping Ben Ali in office; he faced having to give up the presidency in 2004. He was duly reelected in 2004, again by an implausibly high margin—this time 94 percent of the vote. Tunisia under Ben Ali had problems with human rights violations, such as freedom of the press, highlighted by the official treatment of the journalist Taoufik Ben Brik, who was harassed and imprisoned for his criticism of Ben Ali. Under Ben Ali, Tunisia consistently ranked near the bottom of most international rankings for human rights and press freedom. On 25 October 2009, Ben Ali was re-elected for a fifth term with 89% of the vote. The African Union sent a team of observers to cover the election. The delegation was led by Benjamin Bounkoulou, who described the election as "free and fair". However, a spokesperson from the US State Department indicated that Tunisia had not permitted monitoring of the election by international observers, but that the U.S. was still committed to working with the Ben Ali and the Tunisian government. There also were reports of mistreatment of an opposition candidate. In December 2010 and January 2011, riots over unemployment escalated into a widespread popular protest movement against Ben Ali's government. On 13 January 2011, he announced he would not run for another term in 2014, and pledged steps to improve the economy and loosen restrictions on the press. The following day, however, thousands demonstrated in the center of Tunis, demanding Ben Ali's immediate resignation. On 14 January 2011, Ben Ali, his wife and children fled to Saudi Arabia, and a caretaker ruling committee headed by Prime Minister Mohamed Ghannouchi was announced. As president, Ben Ali instituted economic reforms that increased Tunisia's growth rate and foreign investment. During his administration, Tunisia's per capita GDP more than tripled from $1,201 in 1986 to $3,786 in 2008. Although growth in 2002 slowed to a 15-year low of 1.9% due to drought and lackluster tourism, better conditions after 2003 helped push growth to about 5% of GDP. For about 20 years after 1987, the GDP annual growth averaged nearly 5%. A report published in July 2010 by the Boston Consulting Group (The African Challengers: Global Competitors Emerge from the Overlooked Continent) listed Tunisia as one of the African "Lions" and indicated the eight such countries account for 70% of the continent's gross domestic product. Steady increases in GDP growth continued through positive trade relations with the European Union, a revitalised tourism industry and sustained agricultural production. Privatization, increasing foreign investment, improvements in government efficiency and reduction of the trade deficit presented challenges for the future. The 2010/11 Global Competitiveness Report (Davos World Economic Forum) ranked Tunisia 1st in Africa and 32nd globally out of 139 countries but it dropped to 40th in 2011/12 as a result of political instability and was not ranked in 2012/13. According to the Oxford Business Group, Tunisia’s economy was likely to grow from 2008 due to its diversified industries. Committed to fighting poverty at home, Ben Ali instituted reforms including the National Solidarity Fund which slashed the Tunisian poverty rate from 7.4% in 1990 to an estimated 3.8% in 2005. The National Solidarity Fund was part of a dual strategy to fight current and potential terrorism through economic assistance, development and the rule of law, but also increased opportunities for corruption and clientelism. The fund provided opportunities to those living in impoverished areas and are vulnerable to recruitment by terrorists. It was a critical element in the fight against terrorism. However, Tunisia continued to suffer from high unemployment, especially among youth. Left out of the recent prosperity were many rural and urban poor, including small businesses facing the world market. This and the blocking of free speech were the causes of the Tunisian revolution. Meeting between Zine el-Abidine Ben Ali and George W. Bush, in 2004, in the White house, Washington, D.C.
During Ben Ali's presidency, Tunisia pursued a moderate foreign policy promoting peaceful settlement of conflicts. Tunisia took a middle of the road approach contributing to peacemaking, especially in the Middle East and Africa. Tunisia hosted the first-ever Palestinian American dialogue. While contributing actively to the Middle East peace process, Tunisian diplomacy has supported the Palestinian cause. As host to the Palestine Liberation Organization in 1982–1993, Ben Ali's government tried to moderate the views of that organisation. Tunisia, since the early 1990s, called for a “concerted” international effort against terrorism. It was also a key US partner in the effort to fight global terrorism through the Trans-Saharan Counterterrorism Initiative. Ben Ali mostly retained his predecessor's pro-western foreign policy, though he improved ties with the Arab-Muslim world. He took several initiatives to promote solidarity, dialogue and cooperation among nations. Ben Ali initiated the creation of the United Nations World Solidarity Fund to eradicate poverty and promote social development based on the successful experience of the Tunisian National Solidarity Fund. Ben Ali also played a lead role in the UN’s proclaiming 2010 as the International Year of Youth. Ben Ali's government largely bucked the trend toward greater democracy in Africa. It was deemed authoritarian and undemocratic by independent international human rights groups such as Amnesty International, Freedom House, and Protection International. They criticised Tunisian officials for not observing international standards of political rights and interfering with the work of local human rights organisations. In The Economist's 2010 Democracy Index, Tunisia was classified as an authoritarian regime, ranking 144th out of 167 countries studied. In 2008, in terms of freedom of the press, Tunisia was ranked 143 out of 173. In response to the protests, Ben Ali declared a state of emergency, dissolved the government on 14 January 2011, and promised new legislative elections within six months. However, events moved quickly, and it appears the armed forces and key members of the legislature had lost confidence in Ben-Ali, and had decided to take steps of their own. With power slipping from his grasp, Ben Ali resigned the presidency at about 16:00 and delegated prime minister Mohamed Ghannouchi to act as head of state during his "temporary" absence. With the army surrounding the Presidential Palace in Tunis, Ben Ali and close members of his family hastily left and headed to Laouina airport (annexed to the civil airport of Tunis Carthage). The military allowed Ben Ali's plane to take off, immediately after which the Tunisian airspace was closed. The presidential plane headed first to France. But after the plane was denied landing rights on French territory, it directly flew to Jeddah, Saudi Arabia. Ben Ali and his family were accepted by King Abdullah to live there under the condition that he should keep out of politics. Ben Ali and his family are currently living in exile in the Saudi city of Jeddah, the same city where Idi Amin, the late dictator of Uganda, lived in exile until his death in 2003, after being removed from power in 1979, at the end of the Ugandan-Tanzanian War. Other close associates and family members who attempted to leave the country via Tunis-Carthage International Airport were prevented from doing so by the army, which had seized the airport. At about 18:00, Prime Minister Mohammed Ghannouchi went on state television to say "Since the president is temporarily unable to exercise his duties, it has been decided that the prime minister will exercise temporarily the (presidential) duties." 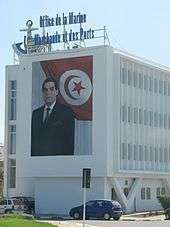 However, this arrangement was very short lived, because early the following day (15 January 2011) the Constitutional Court of Tunisia determined that Ben Ali was not "temporarily unable" to exercise his duties and that the presidency was in fact vacant. The arrangements he had made with the Prime Minister before leaving the country were found to be unconstitutional under article 57 of the constitution. The country's constitutional court, the highest legal authority on constitutional matters, announced the transition saying that Fouad Mebazaa (the Speaker of Parliament) had been appointed interim president. Mebazaa took the oath in his office in parliament, swearing to respect the constitution in the presence of his senate counterpart, Abdallal Kallel, and representatives of both houses. It was also announced that the speaker of parliament would occupy the post of president temporarily and that elections would be held within a period of between 45 and 60 days. On 26 January 2011, the Tunisian government issued an international arrest warrant for Ben Ali, accusing him of taking money out of the nation illegally and illegally acquiring real estate and other assets abroad, Justice Minister Lazhar Karoui Chebbi said. Videos show that the president stashed cash and jewellery in the president's palace. The gold and jewellery will be redistributed to the people by the government. The Swiss government announced that it was freezing millions of dollars held in bank accounts by his family. On 28 January 2011, Interpol issued an arrest warrant for Ben Ali and his six family members, including his wife Leila. After Ben Ali fled Tunisia following the Tunisian revolution, he and his wife were tried in absentia for his suspected involvement in some of the country's largest businesses during his 23-year-long reign. 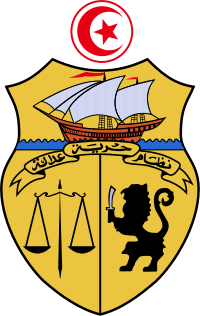 On 20 June 2011, Ben Ali and his wife were sentenced to 35 years in prison after being found guilty of theft and unlawful possession of cash and jewelry. The verdict also includes a penalty of 91 million Tunisian dinars (approximately €50 million) that Ben Ali has to pay. This verdict was dismissed as a "charade" by some Tunisians dissatisfied with the trial and as a "joke" by Ben Ali's lawyer. The sentences will take immediate effect although Ben Ali and his wife are currently residing in Saudi Arabia, and the Saudi government failed to respond to Tunisia's requests to extradite them. Ben Ali and his family are accused of corruption, which was a major contribution to the 2010–2011 Tunisian protests which led to the fall of his government. Many of Ben Ali's family members subsequently also fled the country. On 20 January 2011, Tunisian television reported that 33 members of Ben Ali's family had been arrested in the past week, as they tried to flee the country. Leïla Ben Ali was the chair of the Basma Association, a group that promotes social integration and provides employment opportunities for the disabled. She was also the president of the Arab Women Organization, which works to empower women in Arab states. In July 2010, the first lady founded the “Saida” Association (named after her late mother) to improve care for cancer patients in Tunisia. She has three children: Nesrine, Halima and Mohamed Zine El Abidine. (Ben Ali has three daughters from his first marriage: Ghazwa, Dorsaf and Cyrine.) Leila Ben Ali allegedly took 1.5 tonnes of gold from the central bank when she and her family fled to Jeddah, Saudi Arabia. One of her nephews, Imed Trabelsi, was arrested during the 2010–2011 protests in Tunisia. On 17 February 2011, it was reported that Ben Ali had suffered a stroke, and had been hospitalised for an indefinite period. Al Jazeera reported that a Saudi source has confirmed that Ben Ali has indeed sustained severe complications of a stroke and that he is in critical condition. The information has never been confirmed or denied by the Saudi Government. However, on 17 June 2011, Ben Ali's attorney, Jean-Yves Leborgne, stated that Ben Ali "is not in the state that he's said to be in" and that "a meeting with his client took place under 'normal circumstances'". ↑ "A Coup is reported in Tunisia". The New York Times. Associated Press. 7 November 1987. ISSN 0362-4331. Retrieved 2 May 2010. ↑ Yannick Vely (23 November 2009). "Ben Ali, sans discussion". Paris-Match (in French). Retrieved 2 May 2010. 1 2 3 "Zine El Abidine Ben Ali, Former Tunisian President, Sentenced To 35 Years in Jail For Theft, Unlawful Cash And Jewelry Possession". Huffington Post. 20 June 2011. 1 2 3 Jo Adetunji (20 June 2011). "Ben Ali sentenced to 35 years in jail". The Guardian. London. ↑ "Tunisia's Ben Ali sentenced for incitement to murder". 13 June 2012. ↑ "Ben Ali: My regime 'committed errors, abuses and violations'". ↑ Ben Ali's biography: Zine El Abidine Bin Ali, President of the Tunisian Republic at Changement.tn, 2009 Archived 21 October 2010 at the Wayback Machine. ↑ Gana, Nouri (2013). The Making of the Tunisian Revolution: Contexts, Architects, Prospects. Oxford University Press. p. 66. ISBN 978-0-7486-9103-6. Retrieved 2015-05-13. ↑ "Tunisia New Era Day". Encyclopedia2.thefreedictionary.com. 1987-11-07. Retrieved 2013-01-31. 1 2 Michael, Ayari; Vincent Geisser (2011). "Tunisie: la Révolution des "Nouzouh"* n'a pas l'odeur du jasmin" (in French). Témoignage chrétien. Archived from the original on 14 March 2011. Retrieved 14 March 2011. ↑ "La révolution par le feu et par un clic" (in French). Le Quotidien d'Oran/moofid.com. 25 February 2011. Archived from the original on 14 March 2011. Retrieved 14 March 2011. ↑ "Republic of Tunisia Country Assistance Evaluation" (PDF). World Bank. September 2004. Retrieved 2013-01-31. 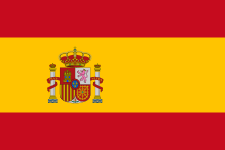 ↑ Golpe: a military coup or putsch. ↑ "L'Italia dietro il golpe in Tunisia". la Repubblica. Retrieved 15 January 2011. ↑ "Tunisia, il golpe italiano 'Si', scegliemmo Ben Ali". la Repubblica. Retrieved 15 January 2011. 1 2 Dickovick, J. Tyler (2008). The World Today Series: Africa 2012. Lanham, Maryland: Stryker-Post Publications. ISBN 978-161048-881-5. ↑ "Couscous connection. (Tunisian President Zinc el-Abidine Ben Ali's brother on trial in France)". The Economist. 28 November 1992. Retrieved 2015-05-14. ↑ "Arab Parliaments: Tunisia". United Nations Development Department. 2010. Retrieved 14 October 2010. ↑ "Tunisia Votes on Reforms" (PDF). DPEPA/UNDESA. May 2002. Retrieved 14 October 2010. ↑ "Two International Organizations Protest Ongoing Harassment of Tunisian Journalist | Human Rights Watch". Human Rights Watch. 4 April 2000. Retrieved 14 January 2011. ↑ "Tunisian Constitution" (PDF). United Nations, Tunisian Government. 2009. Retrieved 14 October 2010. ↑ Ben Ali's biography: Zine El Abidine Ben Ali, President of the Tunisian Republic at Changement.tn, 2009 Archived 21 October 2010 at the Wayback Machine. ↑ "Global Competitiveness Index, World Economic Forum" (PDF). Retrieved 2013-01-31. ↑ National Solidarity Fund 2009 Archived 25 March 2012 at the Wayback Machine. ↑ Terrorism in Tunisia Institute for Security Studies, 1 June 2008 Archived 20 July 2011 at the Wayback Machine. ↑ "Tunisia | Amnesty International". Amnesty.org. Retrieved 2013-01-31. ↑ Archived 29 April 2011 at the Wayback Machine. ↑ "Tunisie - Droits de l'Homme : après le harcèlement, l'asphyxie". Rfi.fr. 2004-12-16. Retrieved 2013-01-31. ↑ "Dans le monde de l'après-11 septembre, seule la paix protège les libertés - Reporters sans frontières". Rsf.org. Retrieved 2013-01-31. ↑ Archived 2 October 2006 at the Wayback Machine. ↑ Edwards, Alex (July–August 2012). "Understanding Dictators" (PDF). The Majalla. 1574: 32–37. Retrieved 4 April 2013. ↑ "Tunisia: President Zine al-Abidine Ben Ali forced out". BBC. 14 January 2011. Archived from the original on 14 January 2011. Retrieved 15 January 2011. ↑ Ganley, Elaine; Charlton, Angela; Keaten, Jamey; Al-Shalchi, Hadeel (14 January 2011). "Tunisian leader flees amid protests, PM takes over". The Atlanta Journal-Constitution. Associated Press. ISSN 1539-7459. Retrieved 14 January 2011. 1 2 3 "Tunisia Swears in Interim Leader". Al Jazeera. 16 January 2011. Retrieved 30 January 2011. ↑ "Tunisia issues intl warrant for ousted president". Apnews.myway.com. Retrieved 30 January 2011. ↑ "Ousted Tunisian president 'stashed' cash". Euro News. 20 February 2011. ↑ "Interpol pursues toppled president". The Sydney Morning Herald. Agence France-Presse. 28 January 2011. 1 2 "Tunisians dissatisfied with quick Ben Ali verdict". Agence France-Presse. ↑ Kirkpatrick, David D. (13 January 2011). "Tunisia Leader Shaken as Riots Hit Hamlet of Hammamet". The New York Times. ↑ "Ousted Tunisian leader Ben Ali's family arrested". BBC News. 20 January 2011. ↑ "BASMA Association for the Promotion of Employment of Disabled Persons". BASMA Association. 2010. Retrieved 14 October 2010. ↑ "First Lady Leila Ben Ali: Activities of the AWO Presidency". Arab Women Organization. 2009. Retrieved 14 October 2010. ↑ "Association "Saida" de Lutte Contre le Cancer". SAIDA Association. Retrieved 14 October 2010. ↑ Blomfield, Adrian (19 January 2011). "Fleeing first lady said to have taken central bank gold". The Sydney Morning Herald. ↑ "Ben Ali in a coma". Le Monde (in French). 17 February 2011. Wikimedia Commons has media related to Zine El Abidine Ben Ali. "Zine El Abidine Ben Ali collected news and commentary". The Guardian. "Zine El-Abidine Ben Ali collected news and commentary". The New York Times.